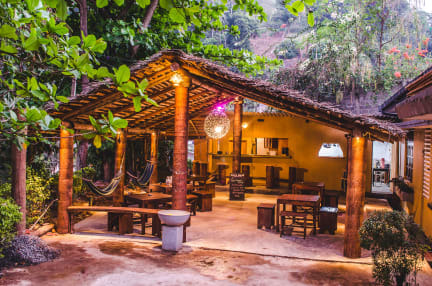 Hipsters Hideout Lounge i Kandy, Sri Lanka : Boka nu! Stannade inte länge nog för att bilda mig en riktig uppfattning. Men det var trevligt, bra service och vänlig personal. Kanske i te det där lilla extra, men garanterat trevligt nog! Rekommenderas! 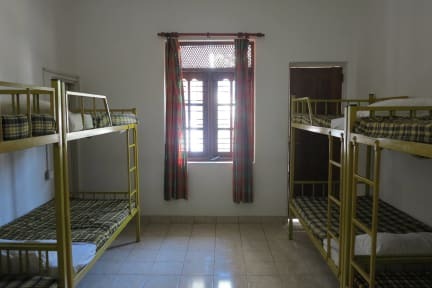 A cozy hostel, with an nice atmosphere and friendly staff. Although the room was nice the bathroom wasn't. The floor was always wet and they could use a shower curtain. And I wouldn't order any food(although it's tasty) unless you want to wait at least 30 min. And yeah even breakfast.